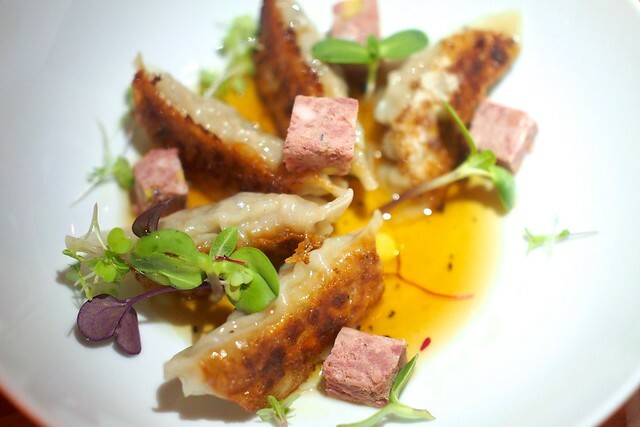 Downtown—(May 12, 2015) Since opening last year to much anticipation and a mixed reception, Aburi Restaurants' Gyoza Bar has evolved their menu, branching out into more mixed Asian fusion culinary influences. 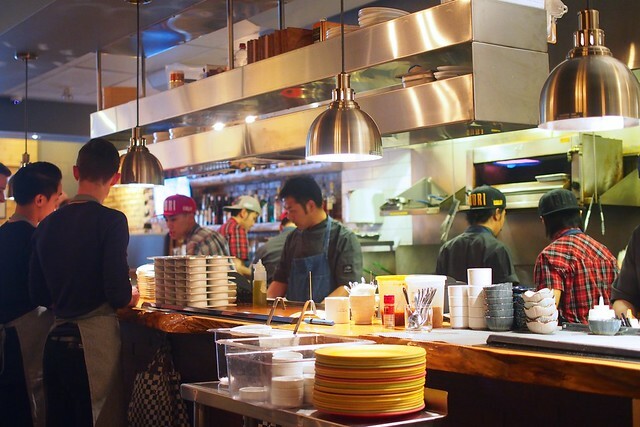 As such, they introduced a new dinner concept anchored by their signature bao boards. 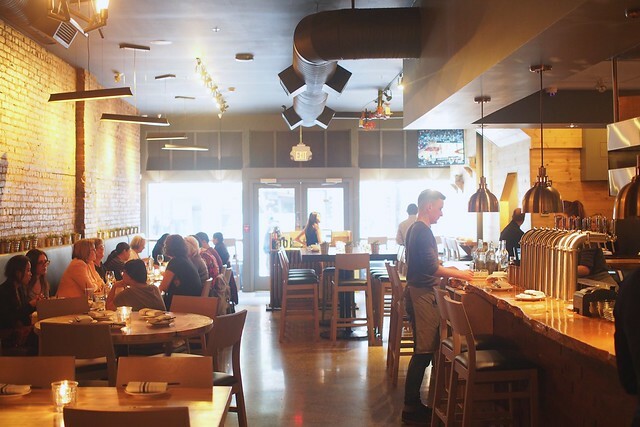 The bao boards are part of an overall menu shift for the year-old restaurant. 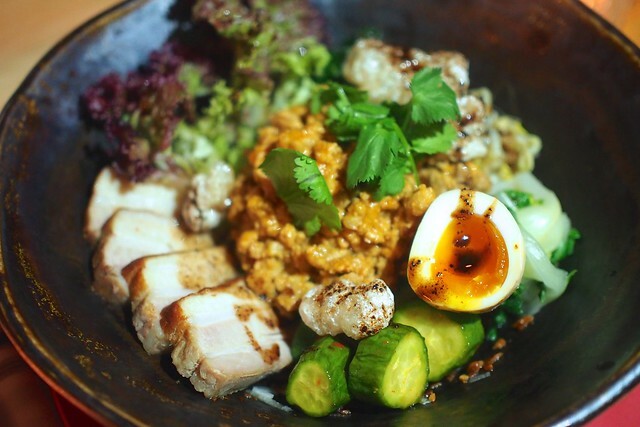 Ramen noodles are no longer being served during dinner hours (still available at lunch) as Aburi introduced a whole new slew of Japanese style tapas dishes and entrées. 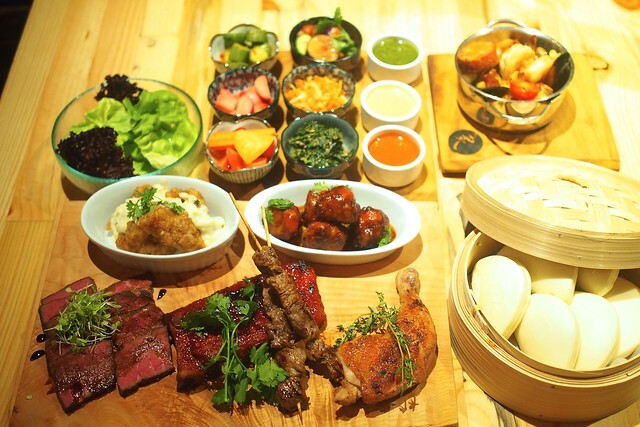 The bao boards are available in a few varieties: Nanban style soy marinated chicken thigh and maple garlic leg, 36-hour miso beef short rib and tenderloin skewer, spicy pork rib and sweet soy glazed meatball, and Togarashi butter poached prawn and scallop (with mussels and chorizo). All were quite tasty and hearty with their own unique flavours. The ribs were particularly delightful and delicious as was the chicken thigh. We sampled ours in the family style option (designed for five people) and it's a fun, DIY food delivery method amongst good company. The spicy miso pork mazemen (with pork belly and spicy pork chutney) was a big hit as a noodle dish full of meaty substance and many toppings adding to the overall flavour. 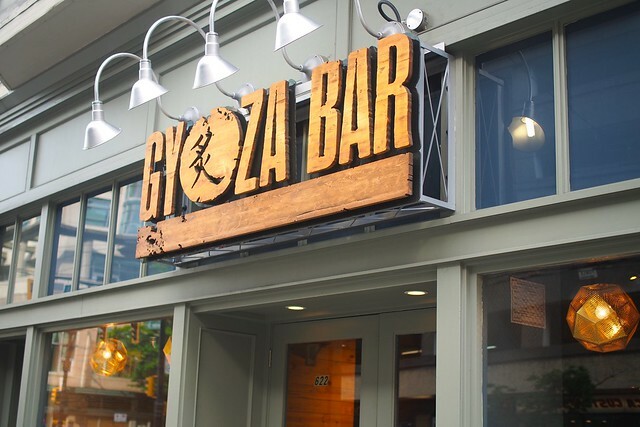 In addition to the new menu, Gyoza Bar is aiming to pair the bao boards and feature dishes with their line of mojitos and wines on tap. Among them, the coconut and green tea mojito is particularly refreshing with a nice tropical twist to it. There are also a couple new gyōza varieties including the chicken and foie gras gyōza (with truffle dashi consummé, duck and pork pâté). 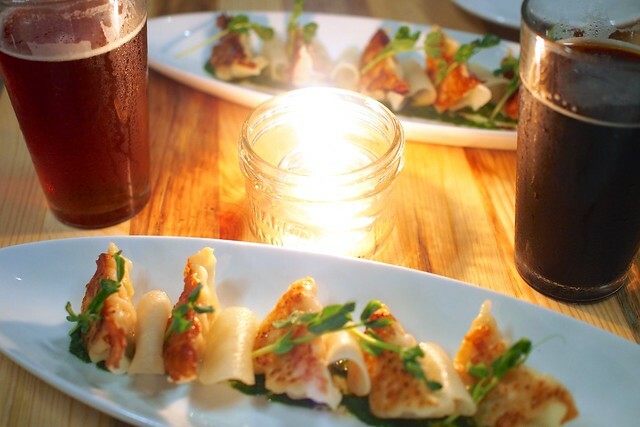 It's a fancier option and fairly appealing with an understated yet very delectable quality to it. 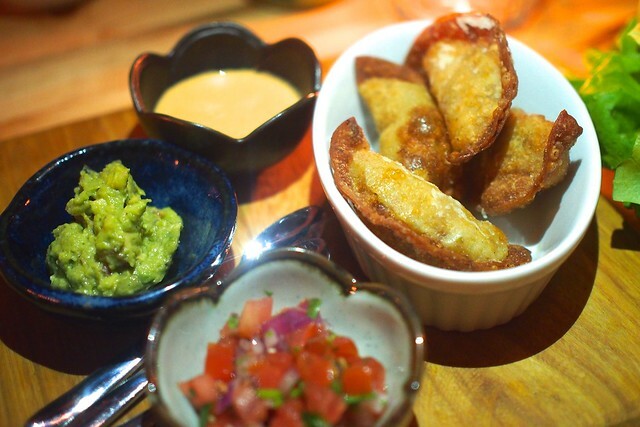 The other new dish is the lettuce wrapped crispy pork taco gyōza (with Sriracha aioli, pico de gallo, and guacamole). It's fairly crisp (as the name would suggest), tasty, and well-prepared yet a tad off if slightly gimmicky. All the new items are fairly pleasing and relatively promising as Aburi continues to innovate their menu and wider variety of offerings while remaining true to their trademark Japanese dining experience. I'm curious how the new fare will catch on.